Technology has caught up in where people don’t need to know code to have a website. Unfortunately this means that websites become more and more templated and don’t differentiate from the next. Standing out online has become difficult which is why having a custom built website crucial. Custom designed websites should be crafted around your targeted personas which ensures the correct content and styling is shown to speak to them. As business owners, it can be a struggle knowing what needs to be said on each page of the website as there's often so much to say. If your a B2B business, then you can relate as often B2B businesses write their own copy. Ensuring your message is clear and streamlined throughout your entire website is essential to conversion. Many Content and Inbound Marketing programs start with a Persona Development program to ensure content is tailored to your targeted audience. 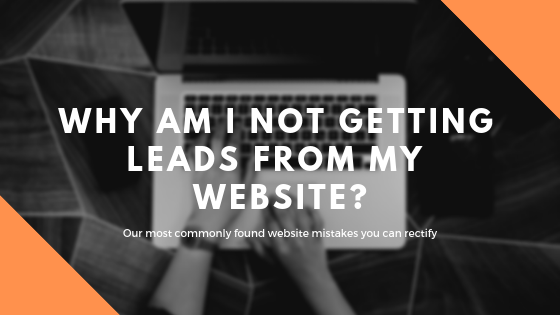 It's difficult for people to relate to your offering if CTA’s, headings, and titles are misaligned. Use our FREE Persona Development guide to get started. Much like people dislike a sales person jumping to sell them something right when they enter into a department store, people dislike being asked to purchase items on your website without understanding its benefits first. Content on your website should follow an awareness, consideration, and decision phase approach. Guide your users through your content systematically yet naturally. If you get this out of order, the risk of losing the user is high. Every business wants their website to be #1 for each of their key targeted search terms, but often don’t know how to increase rankings and/or build authority with Google. Implementing a Content Marketing strategy with a blog allows you to post additional content that is outside of your main navigation. As you strategically write more content on that blog, Google will continue to index the content produced and eventually see you as an authority on that subject topic. In more competitive industries, Content Marketing at a high rate is needed to see results. I know you may be surprised that this is under our “Traffic Generation” section; most people would be. The reality is that mobile responsive websites are the standard and have been for a couple of years. In fact, Google has made this a major part of their algorithm regardless of the percentage of traffic comes from desktop users. Your websites content needs to be relevant as well as structurally. If your website isn’t structured to be mobile responsive than proper rankings will be difficult especially since bounce rates tend to be high given a non-mobile responsive website is extremely awkward to view on a smartphone and/or tablet. Your website only has a matter of seconds before the user determines whether they go deeper into your website or back to their search query. Ensuring your website guides the user through the buyer's journey seamlessly is usually done through clear CTA’s. Clear CTA’s consist of strategic placement, engaging design and actionable text. Bringing these three items together ensure users are guided properly. In today's fast paced world, people want things to be as easy as possible. Ensure your forms are as easy as possible for people to fill out as complex forms detract users from converting. Think about what information you really need and how long it would take for a user to complete their entries. Obviously your business has a product or service offering otherwise your business wouldn't have a purpose. That being said, it's common for a businesses website to not be clear in its purpose. Some of the best websites in the world are very direct with their purpose or mission statements right as you enter the site. Don’t be vague on the value you bring to your potential customers. Primal Tribe is an award-winning Digital Marketing Agency and HubSpot Agency Partner based in Edmonton & Vancouver, Canada. With over 18 years of experience spanning numerous industries, our passion is creating custom solutions to help you reach the right audience with the right message. Contact us today to learn more!